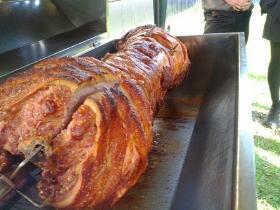 Big Roast offer a range of spit roast options including pork roast loins, full hog roasts and wonderful lamb roasts. We also boast an impressive variety of standard and gourmet salads, vegetarian options and desserts. 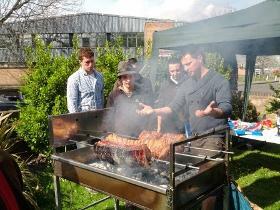 No event is too small or too big – we have catered for events from 20 – 1000 people! When you hire Big Roast, you can leave the hard work to us – we’ll cook, serve and then clean up whilst you enjoy your event!